Dr Chikwe Ihekweazu is the Managing Partner of EpiAfric. He is an epidemiologist and consultant in public health medicine with 20 years’ experience working in public health roles. Until recently he co-led the Centre for Tuberculosis at the South African National Institute for Communicable Diseases, Johannesburg, South Africa. Prior to this, he was a Consultant Medical Epidemiologist, working for the UK's Health Protection Agency, covering the South East region of England and at Germany’s Robert Koch working as a Public Health Analyst. 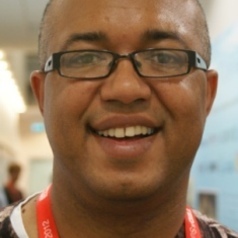 Dr Ihekweazu has undertaken several short-term consultancies for the World Health Organisation (WHO), mainly in response to major outbreaks and the design of surveillance systems taking him to Geneva, Sudan, Liberia, Botswana, Zimbabwe, Lesotho, Swaziland, Turkey and Nigeria. He is widely published in medical peer review journals and is on the board of the NGOs Public Health Foundation of Nigeria, Society for Family Health, Education as a Vaccine and on the Africa Policy Advisory Board of ONE.